Dario D’agostino has established and is the owner of DAMA Partners Consulting that specialises and provides a wide range of consultancy services in the food and hospitality industries. He has created Pizza Revolution, the management company for the Australian National Pizza Team that achieved 1st place in the World Pizza Championship in Parma, Italy and Pastry Revolution Australia, a management branch of the Italian pastry Champion Emmanuele Forcone ranked number two in the Coupe Du Monde de La Patisserie in Lyon. Notable is Dario’s achievement as owner and Executive Chef to Gran Sasso Gelateria, Autostrada Cafe and Wine Bar and the Gran Sasso Ristorante Italiano which featured in The Age Good Food Guide for 3 consecutive years and was also a finalist in the Barilla Best Italian Restaurant Award which was issued by the Restaurant and Catering Victoria Association. Dario worked with the prominent Italian magazine, Italianicious, as their Executive Chef food and menu editor, as well as Swinburne University as their Operations Manager for the Department of Tourism, Hospitality and Events. His responsibilities as such included restaurant operations, purchasing, developing and implementing policy and procedures, hospitality marketing, designing, developing and delivering hospitality short courses. 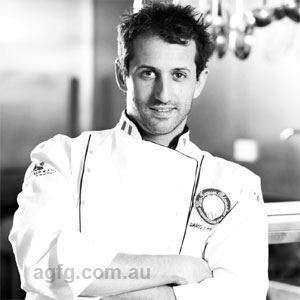 Dario also worked as a Hospitality Consultant and Executive Chef with the Hales Institute, Yorke Institute, Front Cooking School and with Barilla Australia. He has served as a board member of the Italian Chamber of Commerce, President of Association of Italian Chef Australia (AICA), former president of Les Toques Blanches, Australia (LTB), qualified judge for the Australian Culinary Federation (ACF), member of the Federation of Italian Chef and was the representative of former Formula 1 driver Jarno Trulli’s winery in Australia and New Zealand. Dario also has a very strong sense of community involvement. He is always involved in community issues, leading the Black Saturday bushfire food relief effort for nine weeks and also organising charitable events for children suffering from cancer and muscular dystrophy and the inaugural fundraiser for “Tough Angels” Non Profit Organisation based in the USA to raise money for Women and Childer of Violence with the funds going to a Gender Based Violence Resource Centre in Kenya. Dario’s strong connection with food and produce goes back to his childhood days. He grew up in Pescara on the Adriatic Coast in the Abruzzo Region in Italy. With family members also involved in hospitality, food and wine businesses throughout the world, Dario knew what his career path would be. It was no surprise that he acquired a deep understanding of how to use the best produce. Like all Italians his philosophy is “we don’t eat to live, we live to eat”. With these traditions in his blood Dario was doing cooking exams by the age of 14 and working in the kitchen training in traditional cuisine. He currently owns ZaZa’s Cucina Italiana, awarded top 25 new Italian restaurants in Victoria and winner of people choice award ‘Shoot the Chef’ competition as well as being involved with Tricolore Imports, a specialised importer of Italian food and wine products and LUXITA an online shop for luxury Italian products.